On Wednesday, Nintendo announced a new line of peripherals that use, wait for it, cardboard to supplement the Switch experience. 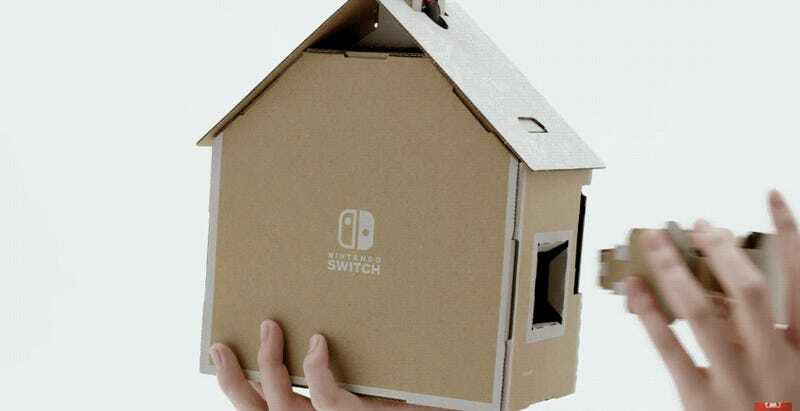 Launching April 20, Nintendo Labo transforms the Switch into new devices, including a piano, miniature house, and fishing rod. Players order cardboard modules, build, then insert the Switch’s Joy Con controllers. Using sensors, the controllers adapt to what’s been built. Most of the Labo toys in the video are part of the $70 “Variety Kit,” which includes a car, fishing rod, piano, house and motorbike. The robot towards the end of the video is in a separate kit. It retails for $80. The nostalgic, make-believe angle of the release trailer is immediately jarring. The whole point of playing pretend isn’t just that a child’s imagination is boundless, playing pretend was also free—which these kits definitely are not. How does modular cardboard boxes enhance the experience of playing pretend except to undercut it with HD graphics? Kids today (and Gizmodo editors). 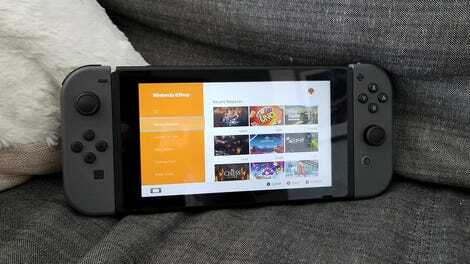 For the cynics, the real takeaway is perhaps that the Switch is evolving. This feels like the first real app for the device and a long awaited acknowledgment that it can do more than play games and reassemble itself as a hybrid mobile/console device. To that end, maybe the sky is the limit for Nintendo’s new advances. This first step in that direction manages to look fresh, familiar and majorly gimmicky. Nintendo might just pull it off regardless.